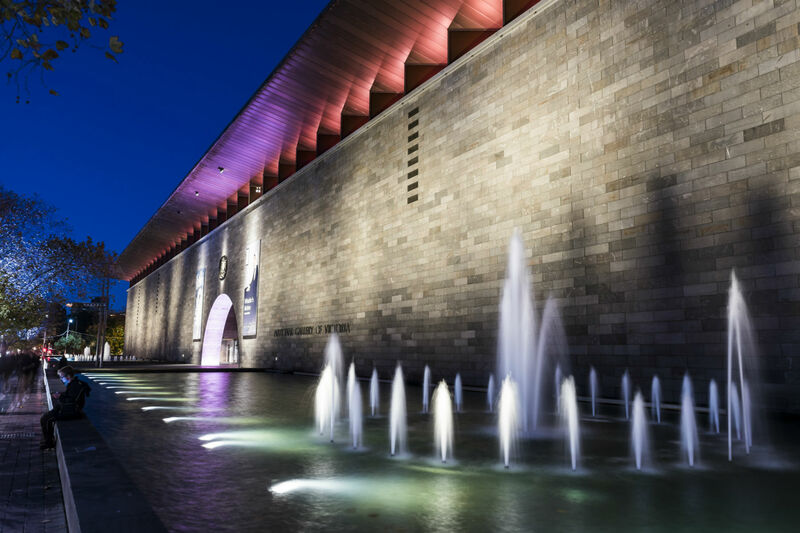 Multi-layered Melbourne, discover her charms. Whatever your interests, Melbourne has them covered. The food & wine scene is well established. 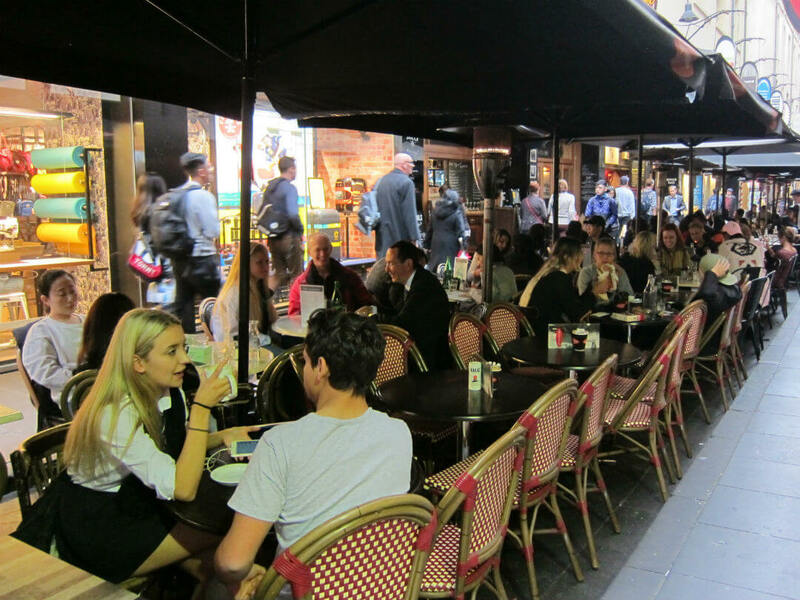 From some of Australia’s leading restaurants to coffee shops, wine bars and niche food outlets, you are never more than a short stroll from another great dining experience. Melbourne is a city renowned for cutting-edge arts and culture. Performing Arts are found indoors and outdoors using the great spaces around the city. The Street Art is vibrant and both appreciated and protected. Every musical taste is catered to from Jazz to experimental music. There are art galleries, museums and grand architecture from the Gold Rush Era. Shopping, oh the shopping! You won’t be disappointed, there is something for everyone. From department stores, Australian designers, international designer houses, factory outlets, to the quirky & funky and all that is in-between. Your only concerns will be time and money, do you have enough of both? Sport, Melbournians are crazy for it! It has been awarded the Ultimate Sports City for three consecutive years. It is the only place where there is a holiday for a horse race. Where to start, there is the Spring Carnival, Formula 1, the home of Australian Football League (AFL) & the Australian Open (tennis). When you need a rest from the above there is the beauty of the land all within a day trip away. 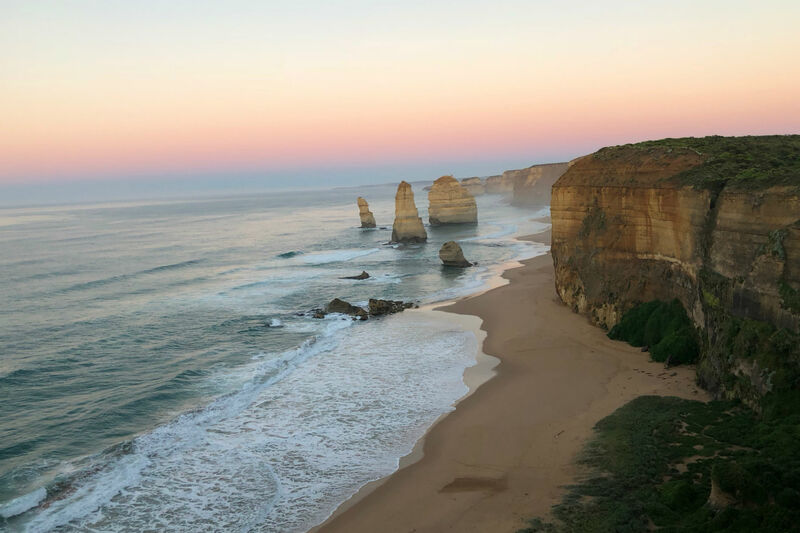 The Great Ocean Road, Phillip Island, the beautiful Yarra Valley, the amazing Mornington Peninsula, the Dandenong’s and the Grampians are all there waiting your discovery. There is a Public Transport Victoria App (Apps) which helps you chose the right public transport option. Taxis are a convenient method for point to point travel in Melbourne. Throughout Australia dialling 131008 will put you in touch with the nearest Taxi service. In Melbourne you can also dial 13CABS (132227). Taxis can also be pre-booked. Most areas of Melbourne are serviced by train, with connections to most of Victoria. Most train stations have bus and tram interchanges making journey planning easy. (Metro Trains). As with any large city, trains can be congested in peak hours. 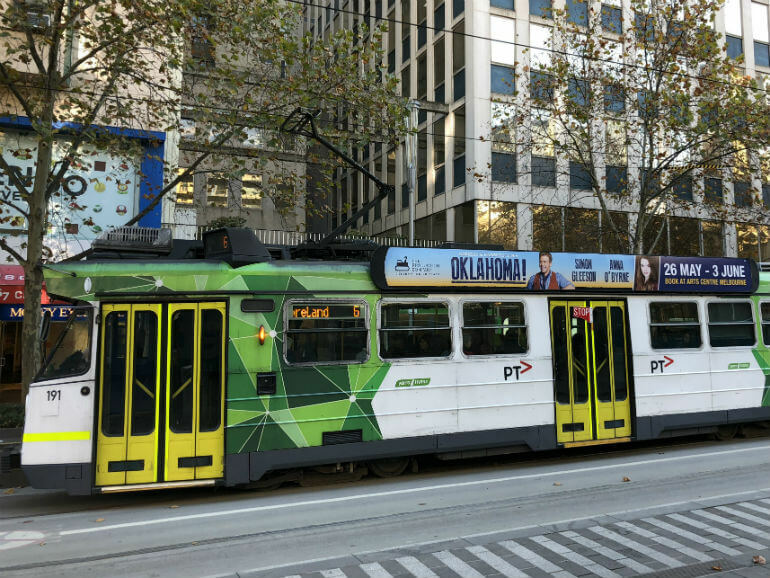 Since 1884 trams have been a feature of Melbourne and the city has the largest urban tram network in the world. And the only remaining tram network in Australia. There is a free City Circle tram from 10am to 6pm everyday, except Christmas Day and Good Friday. As the first Grand Slam event of the year this is the chance for tennis’s best players to make their mark on the year. As always there will be a contingent of Australian hopefuls spurred on by the home town advantage, but it has been almost 40 years since an Australian has won here. This Ironman’s event is under an hours drive from Melbourne. It is a challenging course featuring a ride along Geelong’s waterfront and the testing ‘Crit hill’, and a run that takes competitors back along Geelong’s Waterfront. It is a course designed to challenge competitors whilst letting spectators get up close to the action. Superbike racing is much closer aligned with road bikes so it remains popular with everyday bike riders. This year schools are encouraged to visit the event on ‘Schools Free Friday’, see the website for more information on this initiative. There is more to this festival than designs, there is the history of fashion, the fusion of food and fashion and a fashion writing series. The runway side of the festival is not to be missed from the famous designers to the soon to be famous there is a style and event for everyone. Australian Daniel Ricciardo’s surprise move to Renault has shaken up the driver line ups could he set Albert Park alight and become the first Australian to win their home Grand Prix since it became part of the Formula One World Championship. the event is in the heart of the city and turns Melbourne in to a four day motorsport party. With special events across the city, local and international comedians, hundreds of shows and four weeks of laughs this is Australia’s premier comedy festival. With small ticket prices this is an extremely affordable festival and one of the top three comedy festivals in the world. Check out the line-up, chose your event or select from one of the curated lists designed to make your choice easy. Situated about 2 hours drive from Melbourne, Phillip Island is one of the country’s most popular and scenic permanent race tracks. The current layout has been in use since 1988 and the variable island weather always makes for a challenging race weekend. The Rip Curl Pro is the longest running surf contest and getting to ‘Ring the Bell’ is one of surfing’s highest achievements. Accommodation in Torquay, about an hour from Melbourne, is much sort after so make sure you plan early. The main race is on the Sunday starting at the Lorne Hotel and finishing 44 klm later at the Apollo Bay Hotel this tough course is not made any easier by the amazing back drop along the Great Ocean Road. There are two climbs, Mt Defiance and Cape Patton to really test the runners. This is Melbourne’s most important sporting event, a home grown brand of football which started in Victoria and has grown into Australia’s most watch sporting event, with teams from all across Australia making this a truly national competition. The Australian MotoGP is schedule towards the end of what promises to be a hard fought season. Become a ‘Riders United’ member and enjoy many benefits over the MotoGP weekend, including a Pit Lane and Main Straight walk. Where else in the world is there a public holiday for a horse race? This is Australia’s premier horse race and a world class event with trainers the world over wanting to add this cup to their collection. It is one of the best staying handicap horse races in the world, with almost as much action off the track with the fashion and culture adding to the spectacle of the day. The Boxing Day test at the MCG is an Australian tradition. Even for non-cricket fans and those outside Melbourne, watching the first ball bowled in this test is a Christmas ritual. This is a convenient way to get to and from the airport directly connecting with your destination. Taxi ranks are located on the ground floor of Terminals 1 to 3 and the transportation hub outside Terminal 4. Taxis can be pre-booked, remember to arrange where to meet the driver. As an alternate to a taxi a pre-booked limousine service can be arranged prior to your arrival. The driver will meet you at the Chauffer Meeting points near baggage collection. There are short term parking options offered at each terminal, with long term parking offering a free 24 hour shuttle bus service to each terminal. (Airport Parking) Remember to allow a little extra time if using long term parking. For the best value parking book on line as early as possible. Do not park illegally as penalties apply. Another word of caution, Essendon Airport is nearby to Tullamarine so make sure you follow the right airport signs. There is a taxi rank directly outside the terminal. To book dial 131 008 Australia wide. Parking for 1,500 cars is available directly outside the terminal with the first 40 minutes FREE. Austin Rise B’n’B is just 15 minutes from the Melbourne CBD and close to the Yarra Flats reserves. 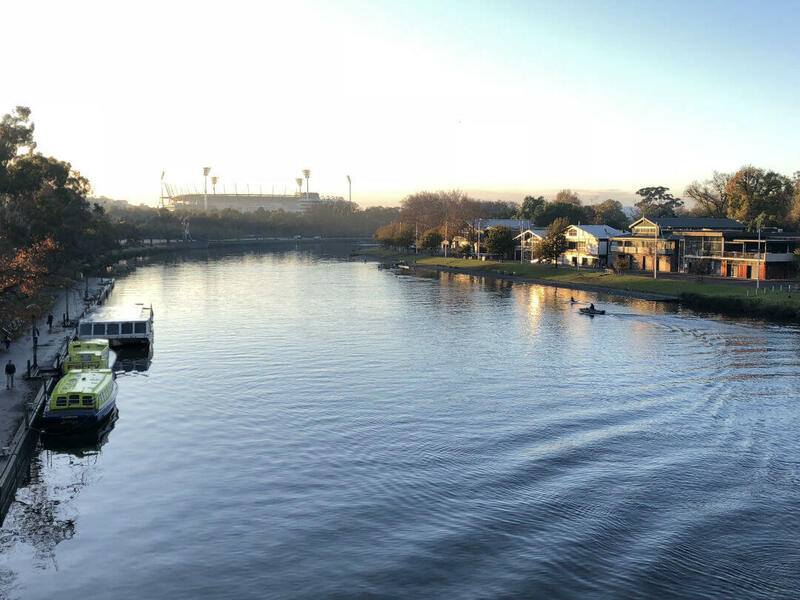 After your day exploring Melbourne relax with a stroll along the Yarra River wildlife spotting. Baringa Villa Bed and Breakfast has two luxurious bedrooms and can sleep up to six people. Indulge yourself with a spa in this private sanctuary or use as your ideal base for exploring the Yarra Valley and the Dandenongs. 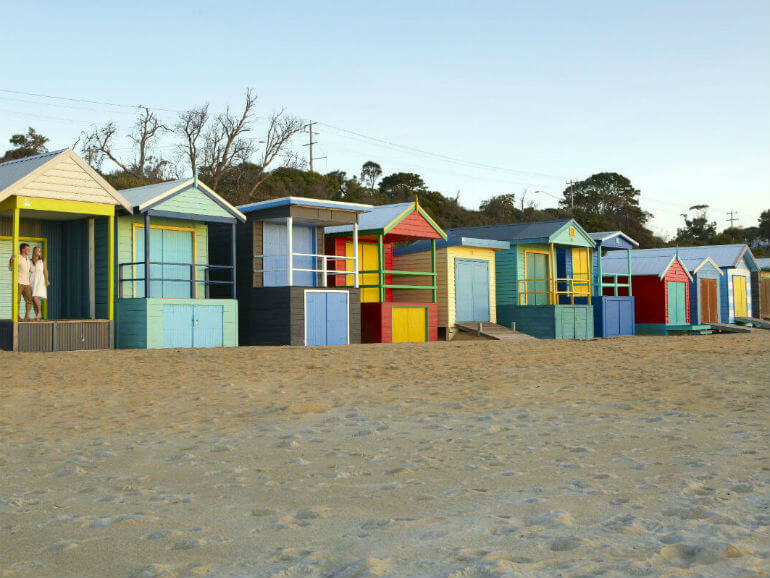 Ocean Blue Coastal Retreats are classic beachside accommodation and luxury holiday homes located on the Southern tip of the Mornington Peninsula, just over an hours drive from Melbourne. The Great Ocean Road is one of the world’s great drives. It is 244 kilometres in length. If time is not on your side, then a day trip from Melbourne is an option. 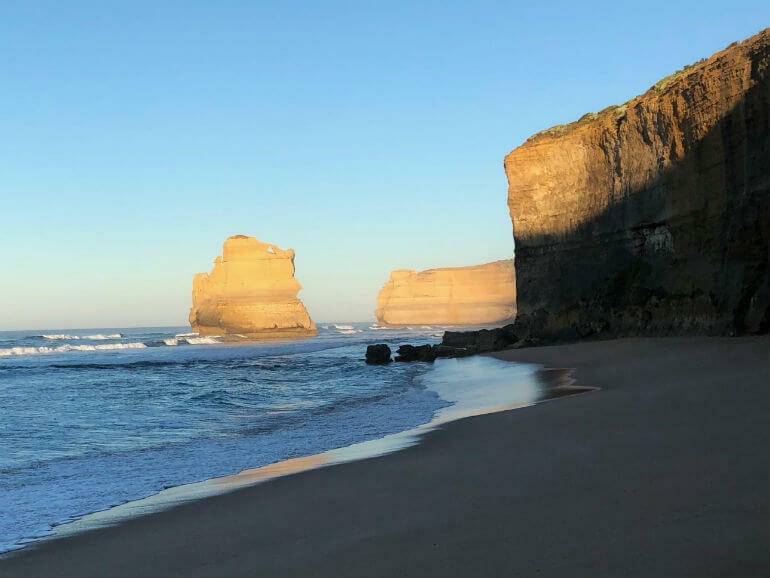 It is 227.5 kilometres from Melbourne, to the 12 Apostles. 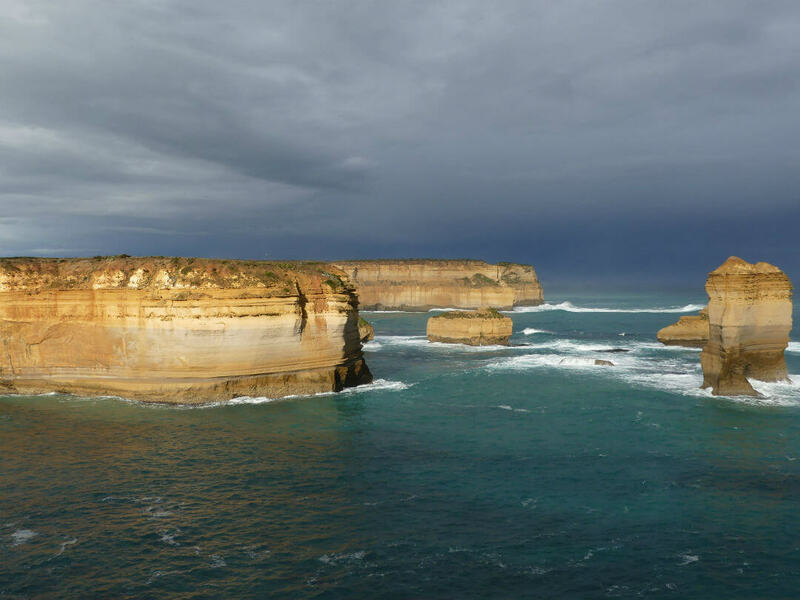 It is only on one of these trips you learn the truth about these spectacular land formations created over time by erosion from The Southern Ocean. There were only ever 9 never 12 Apostles, and sadly in 2005, one of the Apostles collapsed leaving 8. A similar fate struck the famous London Bridge formation in 1990 and it is now the London Arch! The 12 Apostles were originally called The Piglets due to being near Muttonbird Island which was originally called the Sow! How about that for a good story. 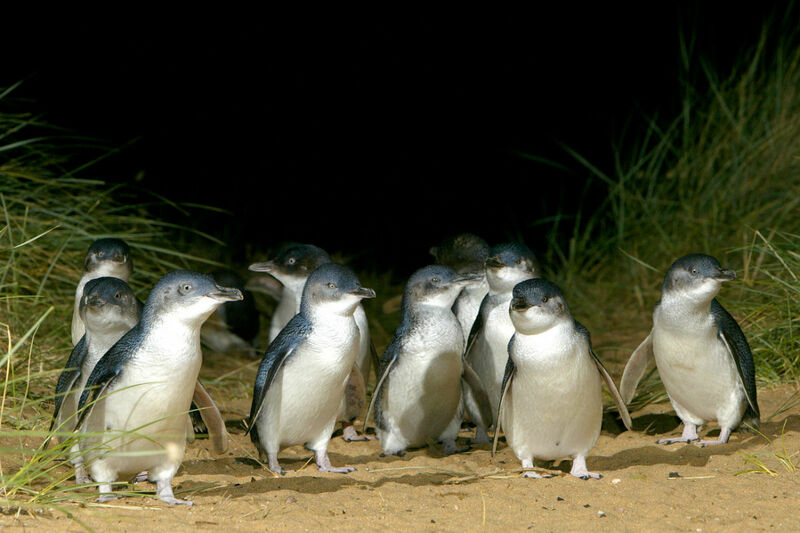 For more information on the great Ocean road see our Ultimate Great Ocean Road Guide. 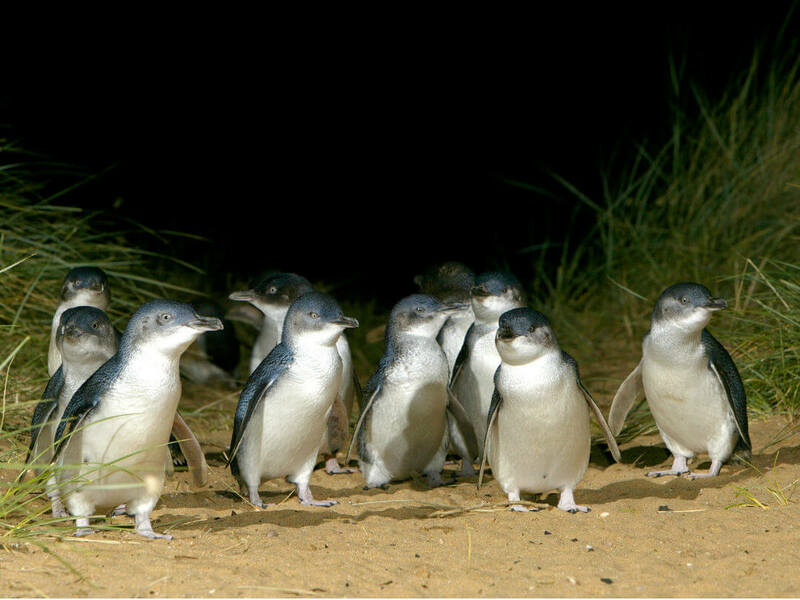 The most popular tour to Phillip Island is to watch the penguins return to their nests at sunset. The island is about 140 kilometers south east of Melbourne and connected to the mainland by a bridge. As well as the penguins the island also features the largest colony of Fur seals at appropriately named Seal Rocks. The island can also be a great vantage point to whale watch in the migratory season. There is also a wildlife park where you can hand feed the free range kangaroos and wallabies. In a complete contrast to the natural wonders of the island there is also the Phillip island Grand Prix circuit which hosts car races and the only Australian round of the motoGP. 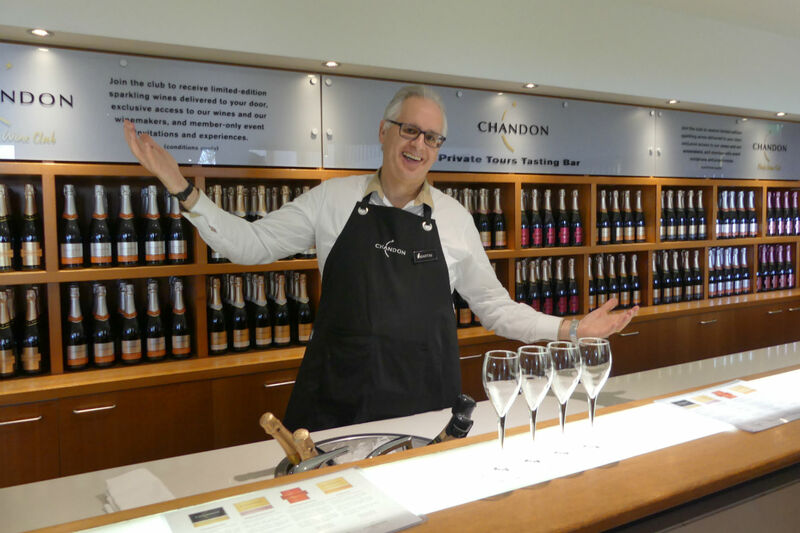 A Yarra Valley Wine tour is a very popular Melbourne day tour. The original vines were planted in 1838 but wine production stopped in the early 1920’s. 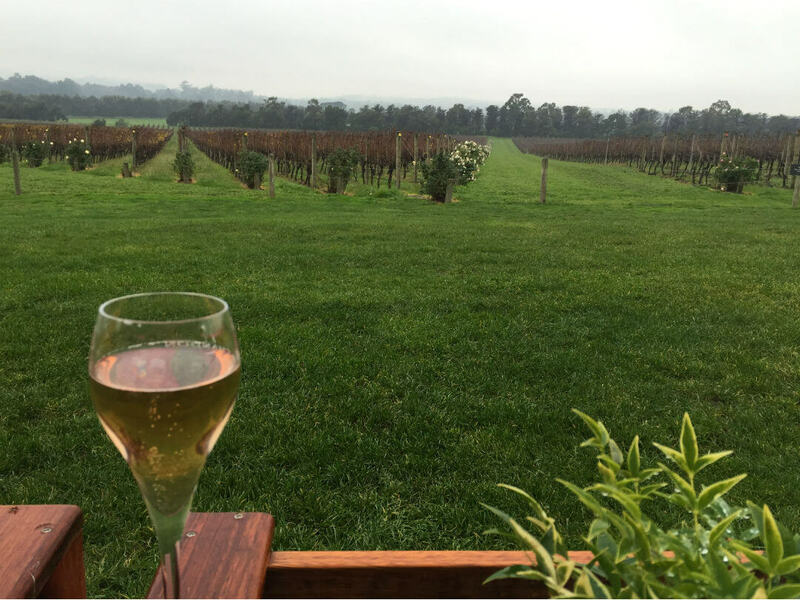 Wine was not produced again till the late 1960’s and the Yarra Valley now has over 80 established wineries. 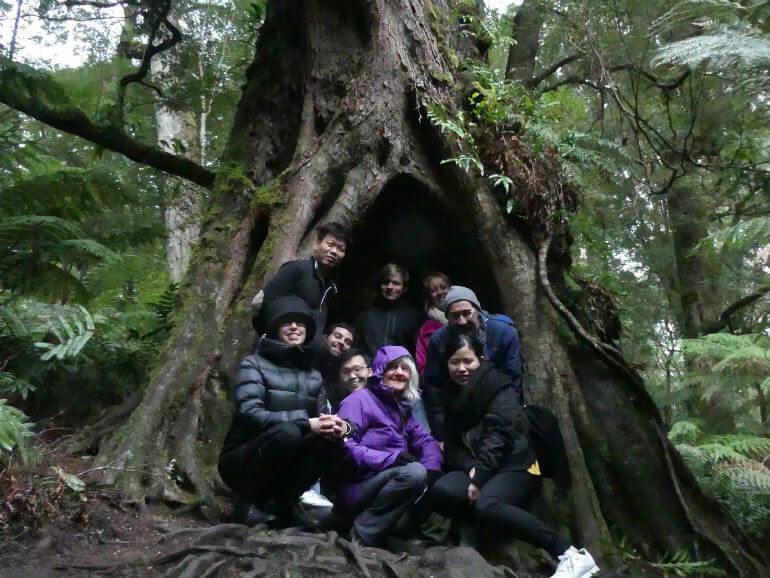 Just 35 kilometers from Melbourne are the lush temperate rain forests of the Dandenong ranges. 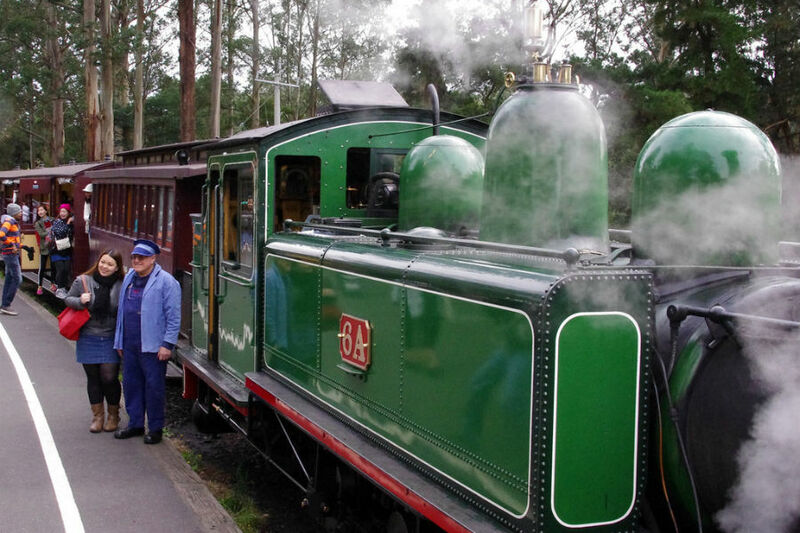 Take a step away from the bustle of Melbourne and step back in time on the historic Puffing Billy Steam train as it winds it way through the towering Mountain Ash groves. 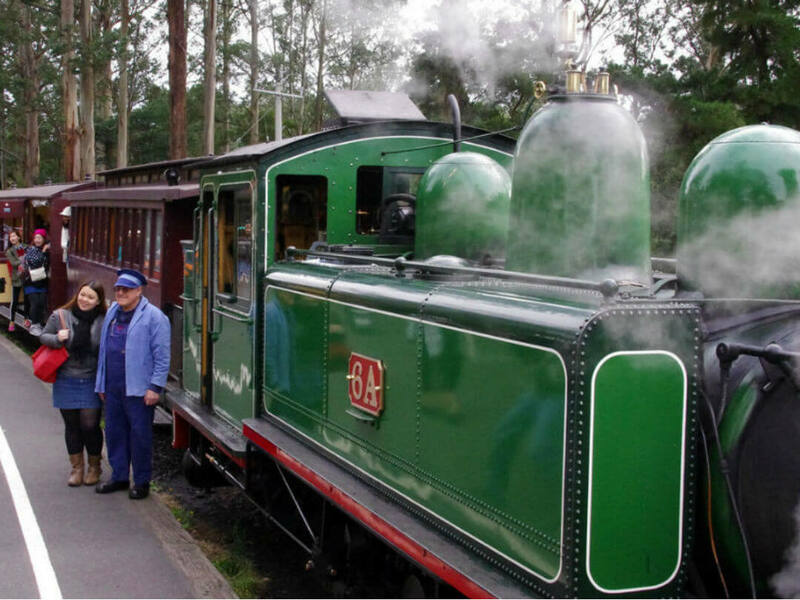 A favourite add-on to your Puffing Billy tour is to include a visit to Healesville Sanctuary for your chance to see some iconic Australian wildlife in a natural bush setting. 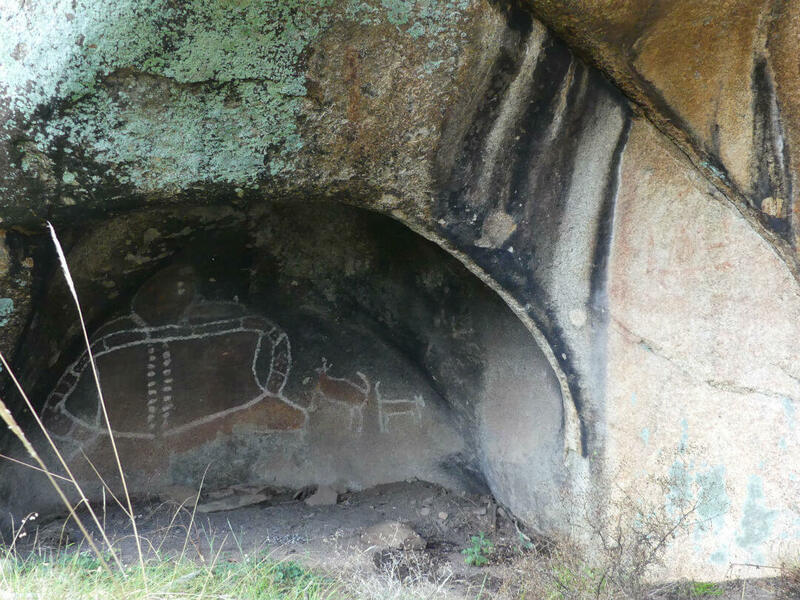 About three hours west of Melbourne and five hours from Adelaide is the Grampians National Park. 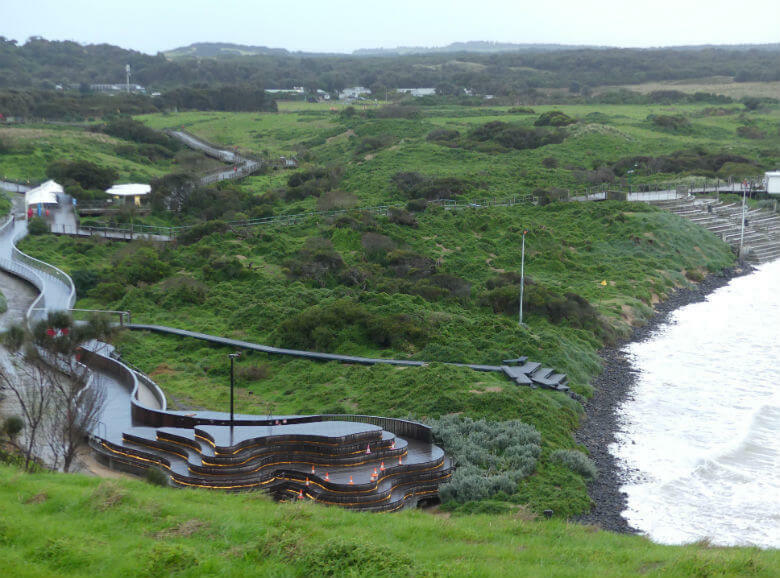 The park can be visited in a day tour from Melbourne or as part of a multi-day tour that usually includes a drive along the Great Ocean Road. 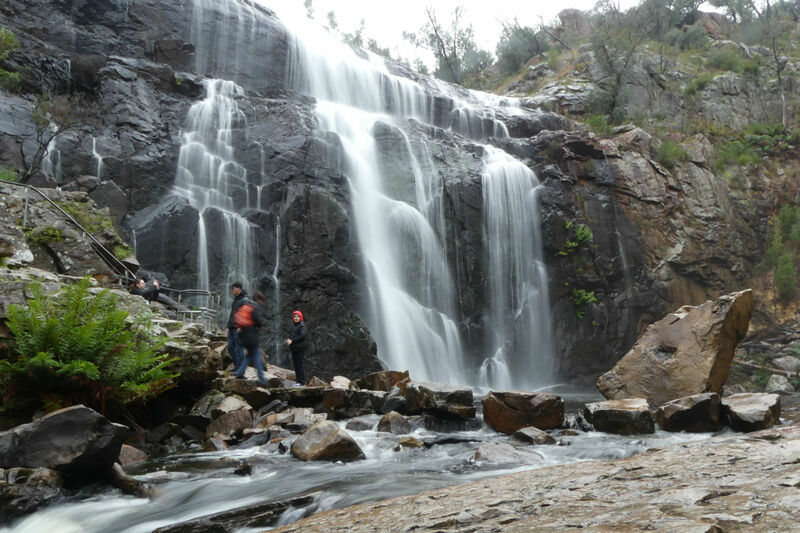 Bushwalking in the park is popular all year round with the waterfalls really coming alive in winter, with McKenzie falls one of the most well known waterfalls. The town of Halls gap is known as the ‘Gateway to the Grampians’ and hosts one of Australia’s longest running food and wine festivals promoting the produce of the region. Hot Springs, Chocolate, Strawberries and Wine, name your indulgence and you are likely to find it on the Mornington Peninsula. 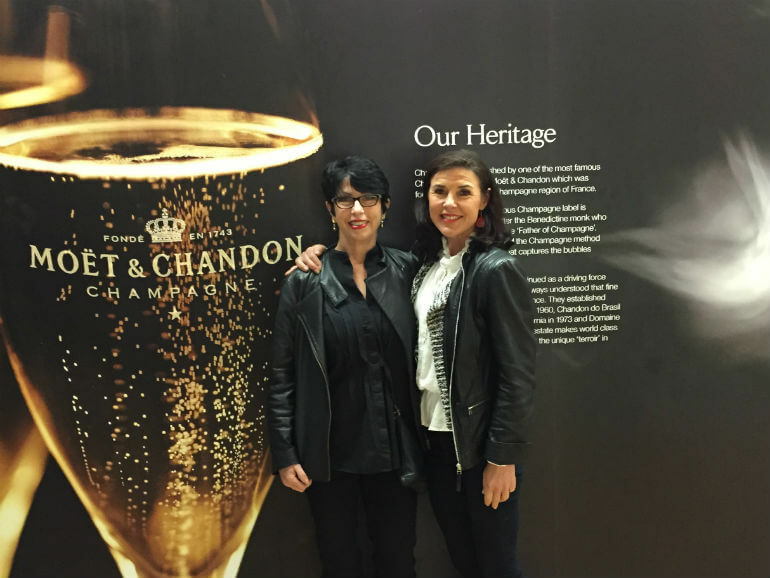 Whether it is spending a day at the spa or an amazing food and wine tour you will not be disappointing. If you are a little more adventurous then what about zip-lining and tree top climbing, or spend some time with the kids and get lost in the maze. 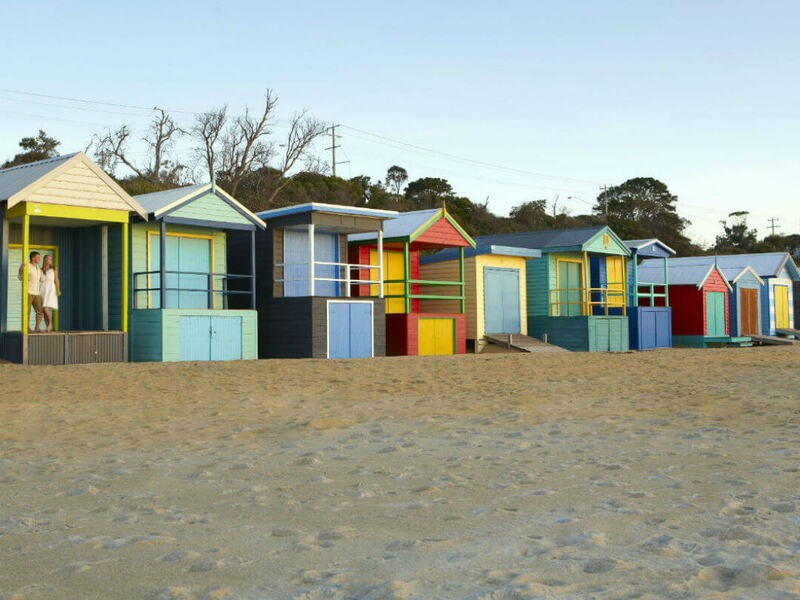 Situated an hour from Melbourne the Mornington Peninsula is a popular holiday destination and the perfect day escape. 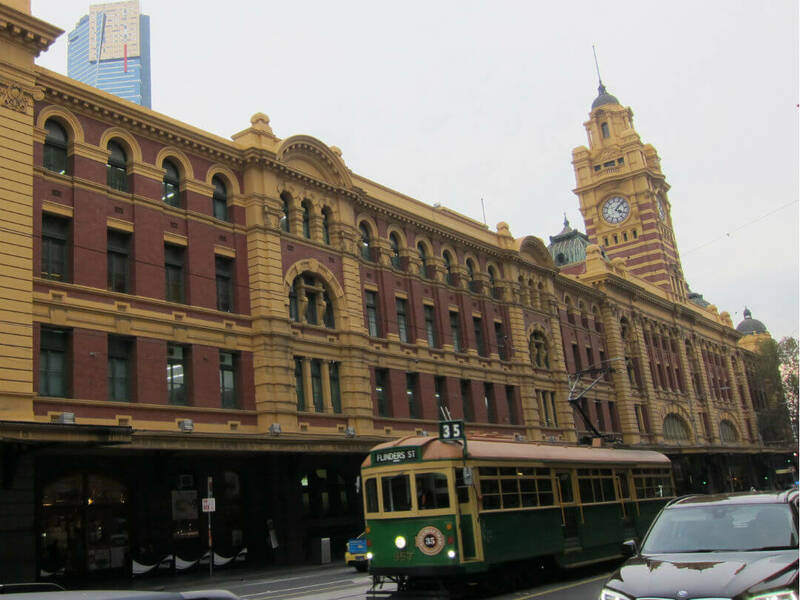 Melbourne’s tram network has been operating since the 1880’s and is an iconic part of their public transport network. 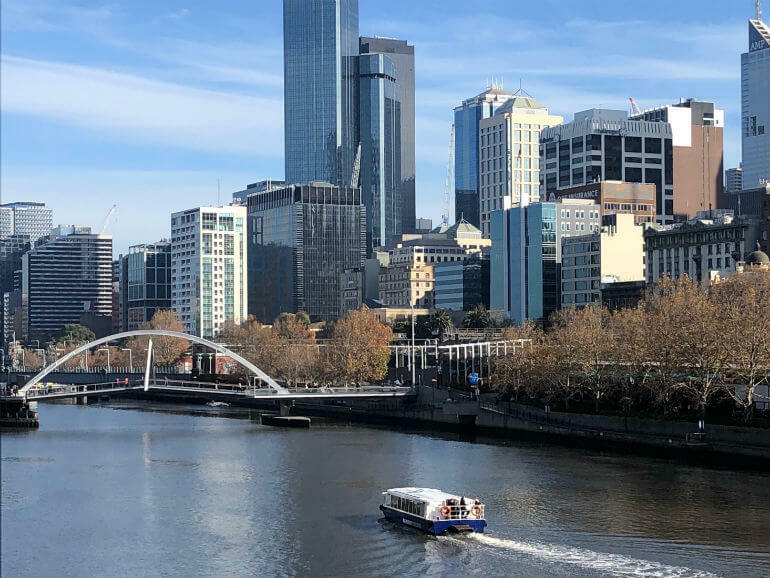 As well as being a Melbourne ‘must do’ experience they are also a great way to get around the city. What is even better is that there is a free tram zone right in the heart of the city. 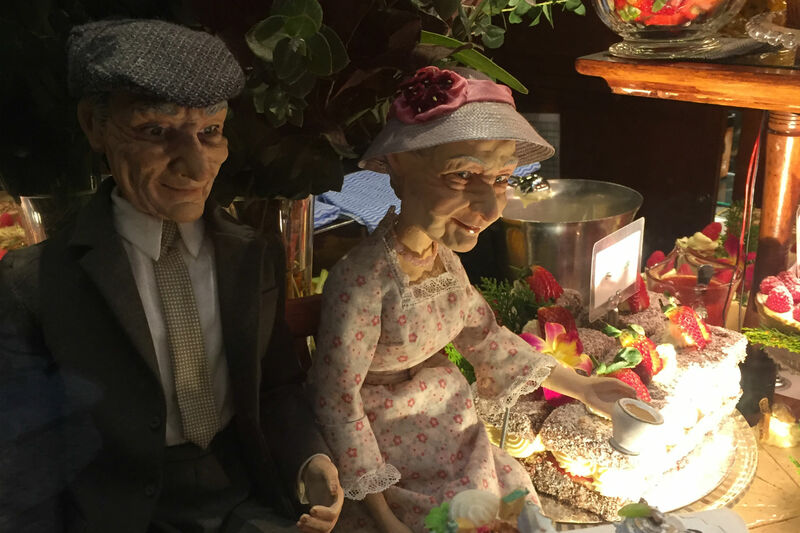 At night you can also ride and dine in a restored Colonial tramcar. 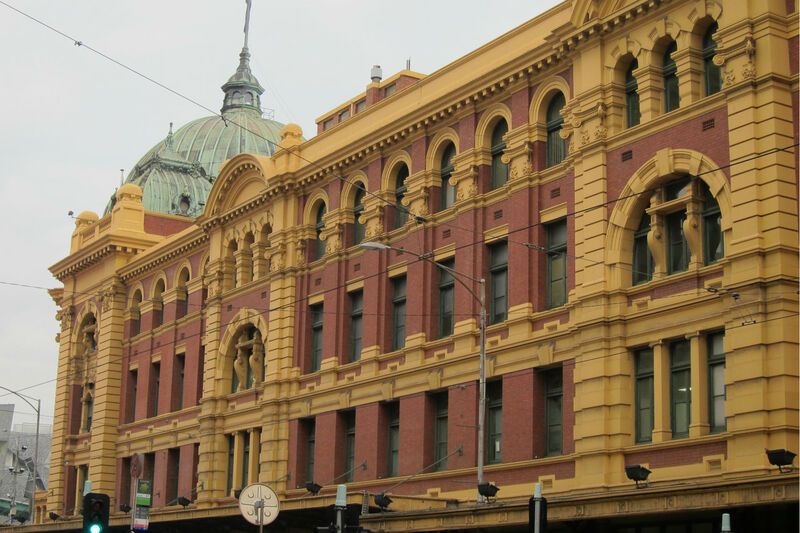 From its alleys and arcades to massive factory outlets Melbourne is a shoppers dream destination. 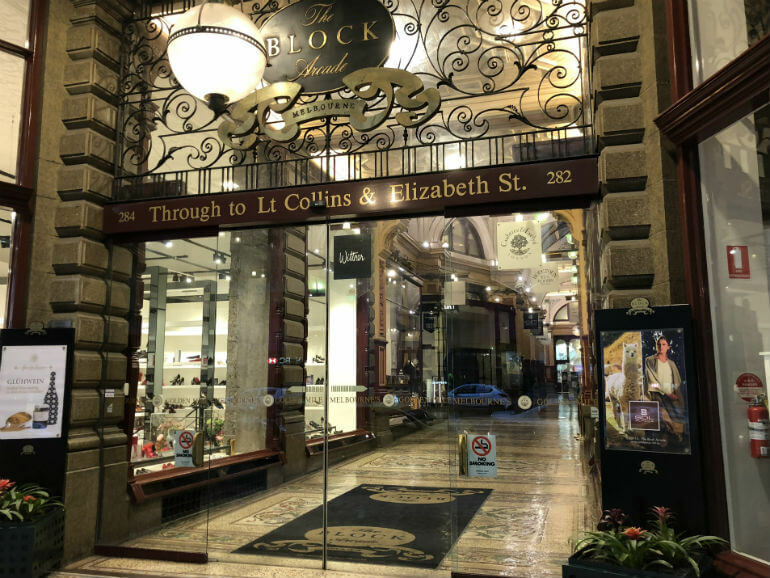 Whether you are searching for that obscure button (hint head to the Nicholas Building), the latest trends or something in between Melbourne has you covered, they only problem is narrowing down your choices. To save you time and money it is best to join an organised shopping tour with an experience guide who can help you find just what you are looking for. Winding its way through Melbourne the Yarra river begins in the Yarra ranges and flows through the Yarra Valley onto Melbourne. Seeing the city from the river gives a unique perspective and you can feel somewhat insulated from the daily grind of city life. There are scenic cruises during the day, then at night why not cruise and dine on the river while watching as the light of the city unfold before you.